By now, probably everyone has heard of Groupon and LivingSocial, and now a new service called InBundles joins the party for offering daily deals and specials specific to a certain city. Currently, InBundles caters to only people who are looking for discounts on local restaurants and bars in the New York City area, however they are looking to expand as they grow. As you will read in the interview, they are also looking to expand to other extensions in the food and beverage industry. Each day, they email a newsletter and feature on their homepage ONE steeply discounted gift certificate to something food and beverage related. If you like the daily deal, then buy away! The sale only lasts between 24-72 hours and is available in limited quantities so act quickly. And remember – the discounted gift certificate is only valid if enough people buy so tell all your friends about it! When the deal is over, they email you a gift certificate to print and use at the partnering business where you’ll get way more than what you paid for. 1. 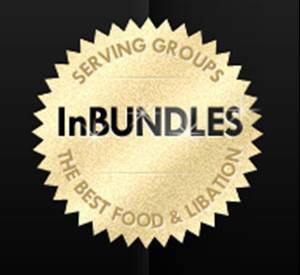 What made you start Inbundles? I’ve worked in food and beverage my entire life. It’s a passion of mine. 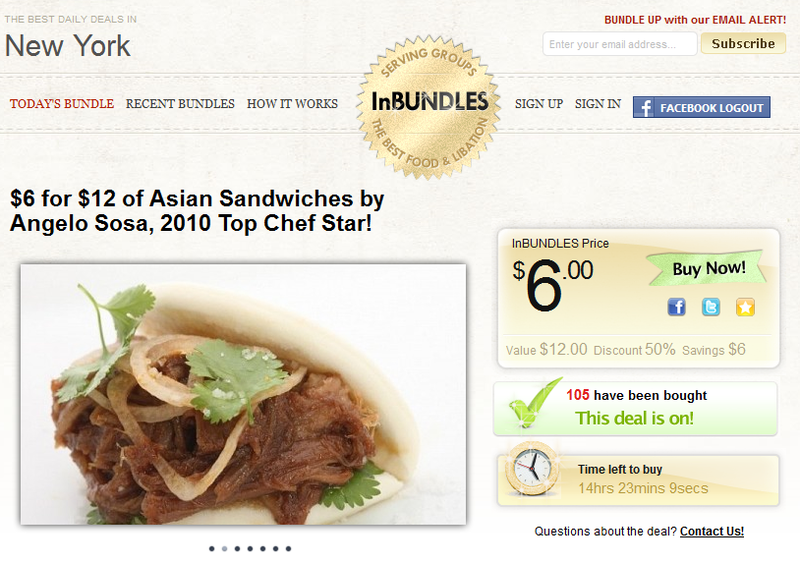 I started InBundles to help restaurants reach out to new customers while giving customers the chance to try restaurants at a lower price. Then, restaurants get the opportunity to convert new customers into regulars. 2. What differentiates yourself from places like Groupon and LivingSocial? I really like what Groupon and LivingSocial do to promote lots of different local businesses, but interspersing highly volatile food and beverage operations with businesses like bootcamp fitness gyms, laser hair removal clinics, spas and the like doesn’t do the restaurants justice. These businesses need to monitor their image closely. InBundles offers deals at F&B operations only because they benefit more by being presented with like businesses — unless you’re the owner of the first Brazilian bikini wax steakhouse, in which case it makes more sense. 3. I noticed currently you cater to mainly restaurants in New York. Do you plan on opening Inbundles to other cities and businesses in the near future? For now, InBundles is strictly in New York City, but we plan to launch in other cities. We also plan to branch out to other sectors of the food and beverage industry like bakeries, wine stores, cooking courses and more. These businesses and events go hand in hand with restaurant deals. 4. 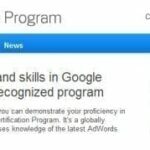 What is the process if someone wants to get started? We keep the interaction as simple as possible on both the diner and merchant sides of things. To buy a bundle, users simply create an account, purchase and print their bundle, and use it at the participating merchant. It’s just like any other gift certificate. For the restaurant, we write the editorial and create and sell the corresponding gift certificate. If the restaurant is prepared for the influx of customers, all they have to do is expect a check in the mail. 5..What are some local marketing tips you have learned to help restaurants owners gain more customers? I always tell restaurants to think outside of their neighborhood. While the neighborhood customer base is crucial, there’s potential to attract customers from elsewhere. Restaurant owners should make the effort to reach out and educate diners no matter where they live. Just last week, I took a 45 minute train out to Queens for Thai food. The smells alone made the trip worth it, but I’ll definitely go back for the food. Are Group Deal Sites Really Good for Business Owners?